Granville Island isn’t so much an island as it is a “sand spit”, and in the early 1900’s is was fueled by sawmills, factories and plants for the working class. 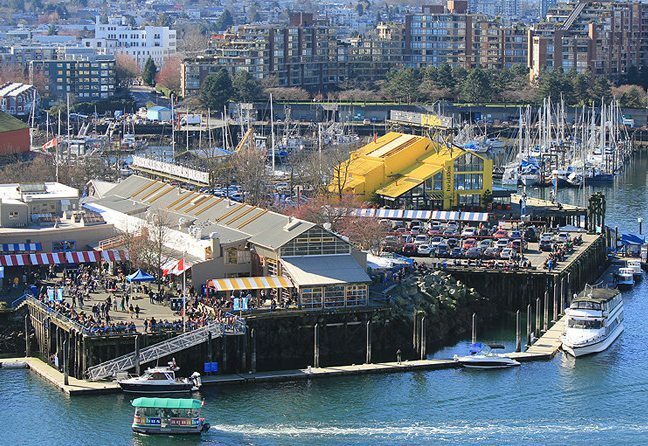 Today, Granville Island is a place where people come to mingle, dine, shop and play. Offering both locals and tourists alike an enjoyable reprieve from the city, with beautiful oceanfront views, and fabulous photo op’s of the industrial undercarriage of Granville Bridge. Granville Island is perched to the south of downtown, and can be easily accessed via the Granville Bridge, or any number of tugboat ferries that run from various downtown points one side to the other for a reasonable rate. A truly memorable way to get to the Island and spend the afternoon without worrying about parking meters. Granville Island is truly an oasis of discovery filled with treats and visual delights around every corner. Whether you are looking at buying a condo within the area of Granville Island, or are new to Vancouver and have been considering a visit …it is definitely worth a day trip. One that might find you spending the entirety of it there, into the night. Granville Island is a haven for all things local. From fresh seafood, to hand-blown glass, to jewelry, soap, First Nations art …and more, it’s an artisan delight of craft studios and workshops worth wandering. 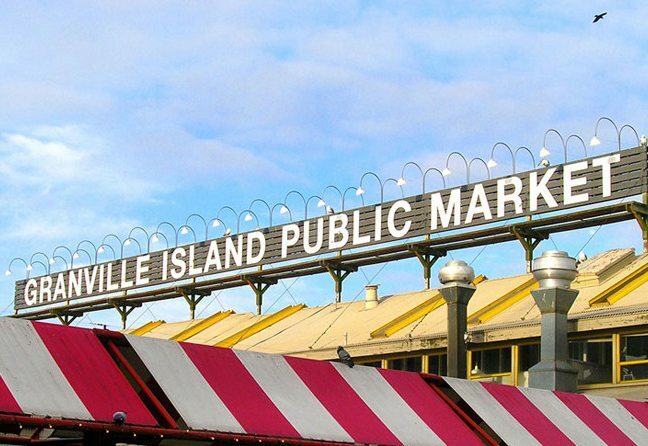 In addition, the Granville Island Public Market is a colourful place to pick out perfectly ripened and displayed fruits and vegetables, and offers a distinct cultural flare with tropical options you will cautiously yet curiously want to sink your teeth into. Granville Island offers many great “show watching” experiences. From theatre sports to local talent displayed on stage, and even the outdoor buskers can be quite unique entertainment. There’s something for everyone. Take in a local beer tasting at one of the many dining and drinking options. From super casual concession style, to fancy under the stars Sky Bar style …again, there’s something for everyone. So whether you call Vancouver home and are looking for a local community fix, or are contemplating buying in Vancouver and wish to wander the districts that make up our fabulous city…ensure Granville Island is one of your stops along the way. It’s a genuine gem, and well worth the stop!